Valentine’s Day is just around the corner, so my daughter and I decided to collaborate on a small project of handmade cards. She recently took a modern calligraphy class at Carpe Diem Collective in West Seattle, and wanted to practice what she learned. 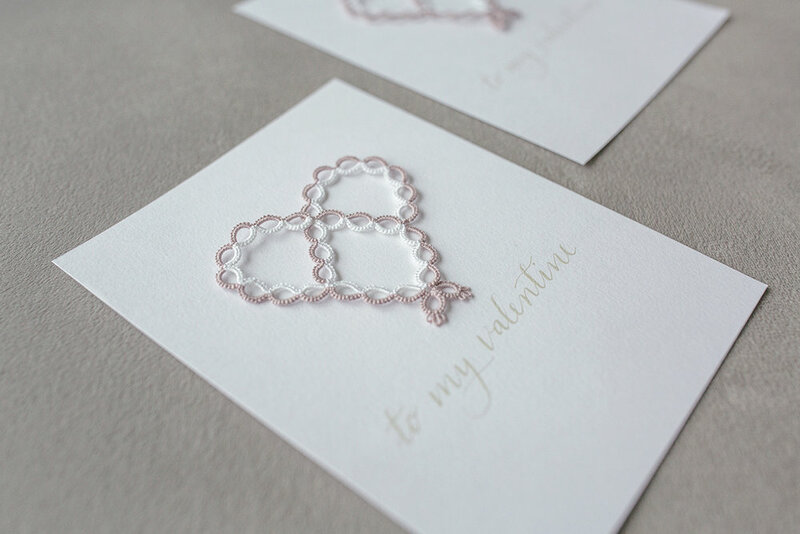 And I designed this simple split ring heart pattern using light purple and white thread. These are by no means “perfect”, but we think that handmade, handwritten cards are more thoughtful and meaningful than generic store-bought ones!